Our Vertical blind fabric range offers a wonderful selection of compositions, colours and designs. There is a fantastic range of neutral or vibrant plains, textures and patterns with a number of specialist coatings from Teflon® to Flame Retardant. All of our made-to-measure blinds are manufactured to the highest standard to ensure you get the window dressing solution you are looking for. 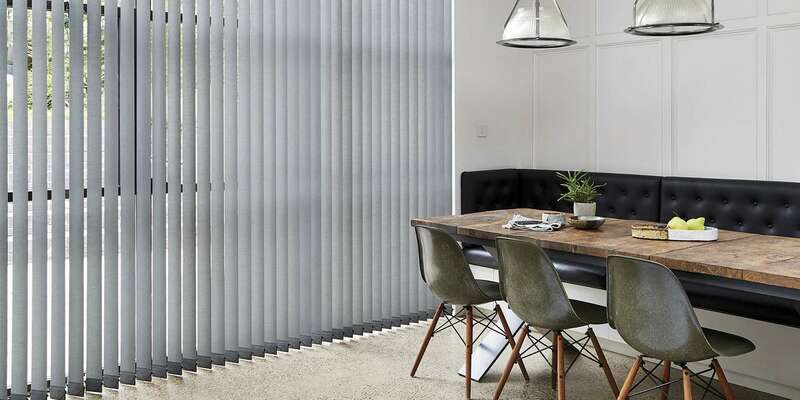 Why choose Aspen Vertical blinds?